I hope you’ll take a few minutes to click over to the Dallas Moms Blog to read my post about Midwestern State University’s fantastic residential Autism Support Program – Initium House. This place inspires hope! Plus, in just a few short days, you can view a fantastic documentary about the program at AutismSpot. Until next Wednesday, the two trailers for the documentary will help you get excited about seeing the entire film! This link is to a blog entry about parents as advocates (for their special needs children) and a few really great tips from Nick Martin (photo below) about having effective, diplomatic ARD meetings in the school setting. This link will take you to a post about local events in honor of Autism Awareness month. Though some have passed, the Behavior Innovations event will be happening next week! Check it out. 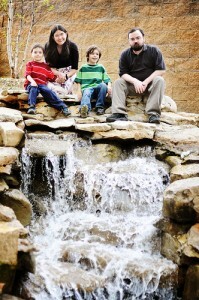 Check out my Dallas Moms Blog post about Ten Things Every Child with Autism Wishes You Knew, by Ellen Notbohm. If you leave a comment AT THE DALLAS MOMS BLOG, thanks to Future Horizons, you’ll be entered to win a pair of Ellen Notbohm’s books (Ten Things Every Child with Autism Wishes You Knew and 1001 Great Ideas for Teaching or Raising a Child with Autism or Asperger’s.) Great opportunity; pass it on! In March we decided to meet with Dr. Jonathan Walker, a Board Certified Neurologist at the Neurotherapy Center of Dallas who is a pioneer in the field of Neurotherapy. 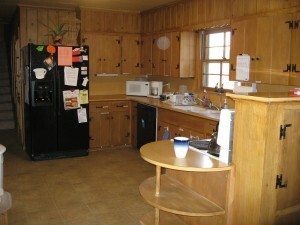 He has been studying, researching, teaching and practicing in this field for over 35 years. 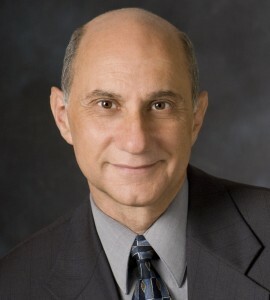 Neurotherapy, also referred to as Biofeedback and/or Neurofeedback, utilizes ground-breaking technology to “re-train” certain portions of the brain which are not functioning as fast as they should be, in comparison to typical age peers with no brain injuries, brain damage or other neurological issues. Dr. Walker and his staff use a non-invasive QEEG-guided form of neurotherapy to help the brain learn to self-correct abnormal brain patterns. In order to see if Ethan would be a good candidate, Dr. Walker took a thorough history and also physically examined Ethan. We had a lengthy dialog about what kinds of things we have done with and for Ethan, what kind of results we’ve seen and what we hope to accomplish via neurotherapy. What have we done, you ask? Lots! Ethan has been in Speech Therapy, Occupational Therapy, Social Thinking Groups, Social Skills Groups, on special diets, takes a compilation of very helpful natural supplements, uses certain prescription medications to help manage yeast- and bacterial-overgrowths and we also have chelated Ethan’s body to purge heavy metals. We’ve also recently started Yoga with a teacher certified to teach individuals with special needs and we’ve also started seeing Dr. Amber Brooks, a DAN! doctor who will be doing Cranio Sacral therapy with Ethan. What have our results been? Ethan’s speech (pragmatics) and disfluency (stuttering) continue to improve thanks to continuous therapy, through the school system as well as private therapy. Ethan’s Sensory Processing Disorder issues have diminished greatly and become much easier to control over the years thanks to our work alongside private OTs and now Ethan is receiving some help via a school OT, too. Through Social Thinking Groups and Social Skills Groups, Ethan has become more proficient at interacting appropriately with his peers and handling unexpected or difficult situations. Ethan’s gluten-free, yeast-free, sugar-free, almost completely soy-free and low oxalate diet help him to feel good and stay focused. We’ve also discovered recently that casein seems to be affecting Ethan negatively, so we’re in the process of removing all dairy products from his meals. The natural supplement regimen has been wonderful for Ethan! While the kid has to be a trooper and swallow anywhere from 15-25 pills every morning and evening, he knows it helps him function better and feel good. When he has had to go off of all supplements for laboratory tests, he was a different child, more akin to the Tasmanian Devil than the loving, sweet boy Greg and I adore so much. Without the help of prescription anti-fungals and anti-bacterials paired with high-quality probiotics, I don’t know if we would have ever gotten Ethan’s digestive tract in healthy shape! After receiving so many antibiotics for ear infections when he was younger, Ethan has struggled with yeast overgrowth for years. Antiobiotics essentially kill all bacteria–even the good flora our guts need to adequately digest food, mainain balance and help provide immunity to infection and disease. Finally through what is called chelation, we have been able to help Ethan’s system rid his body of some of the toxins his system doesn’t naturally detoxify well, like Mercury, Lead and Arsenic. With all of these therapies working in conjunction together, we know we have done amazing things for Ethan and helped him in ways we will never regret. We already like what we’re seeing in terms of Yoga and eagerly anticipate how the Cranio Sacral therapy will help, too. However, even with all that spelled out, Ethan still has issues with impulsivity and self-control that concern us. This is why I sought out information on neurotherapy and came to find Dr. Walker and the Neurotherapy Center of Dallas. Dr. Walker has had many patients lose symptoms like Ethan’s with permanent results and only very mild side effects like a headache from focusing too hard the day of therapy. Permanent symptom loss with minor side effects certainly appeals to us. Dr. Walker, after conducting his initial evalutaion of Ethan and reviewing his extensive history, felt sure that Ethan would be a good candidate for neurotherapy. As such Ethan underwent a few tests/assessments in order to understand how Ethan’s brain is currently functioning and develop a treatment protocol. We meet with Dr. Walker tomorrow to find out more. Many people have asked me what the tests/assessments were like, so I thought I’d put it here s. First, Ethan underwent a QEEG (Qualatiative Electroencephalogram) in Dr. Walker’s office with one of the staff therapists. A space-age cap (see photo) with 19 strategically-placed electrodes was placed on Ethan’s head. The therapist carefully worked to make sure each electrode made contact with Ethan’s scalp in the accurate places while Ethan watched The Incredibles on DVD. About four additional electrodes were gently placed on Ethan’s forehead and ears. This therapist was especially kind, gentle and understanding of Ethan’s sensory issues and I could tell he is very good at what he does. Several readings are required to create a “brain map” of Ethan’s current brain patterns. Readings were taken 1) while Ethan watched the movie, 2) looked intently at a spot for several minutes, 3) closed eyes and rested for several minutes and also 4) read aloud to the therapist. I’m told that about 70 pages of readings will result from Ethan’s hour hooked up to the cap. 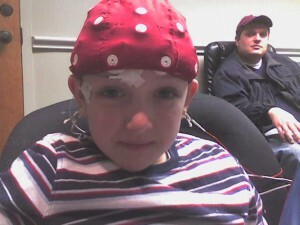 Ethan wearing the space-age QEEG cap in Dr. Walker's office prior to electrode attachment; Greg watching on. Ethan also underwent a few other evaluations in Dr. Walker’s office so that the protocol prescribed for Ethan will be a good reflection of what his brain needs to function at its best. The IVA (Integrated Visual and Auditory) CPT (Continuous Performance Test) helps to measure ADHD criterion. This was done with Ethan on the computer utilizing the mouse; we did not observe this one so that the clinician could get a clear read. We also completed a DASS (Depression Anxiety Stress Scales) questionaire to allow them to measure possible negative emotional states of depression, anxiety and stress. So, while we don’t yet have a Neurotherapy protocol yet, I am encouraged by our visit with Dr. Walker and his staff! Keep us in your thoughts and prayers as we embark on this new leg of our journey with Autism. If you’re interested – please let me know. I’d be glad to post more about Ethan’s recommended protocol and what we see when he begins. Like I said, I use Salba in our cornbread recipe, and we also mix it in with our yogurt on a regular basis, but I’m looking for new ways to utilize this healthy addition to our diets. I buy it whole and have a small, dedicated coffee grinder I use to prepare small batches to keep on-the-ready in the refrigerator. It can be added to many different recipes including soups, gravies and puddings (in place of of thickener) in addition to adding it to baked goods (like my GFCF Mock “Buttermilk” Cornbread.) I also understand that it can be used as an egg replacer; while I haven’t tried it, I plan to at some point. Occasionally I see it used in chips (think tortilla-style); I’ve tried one brand (though I don’t recall which), and found them to be very tasty. So, if you haven’t tried Salba in your kitchen, I’d strongly recommend it. I purchase it from Swanson Health Products (here). 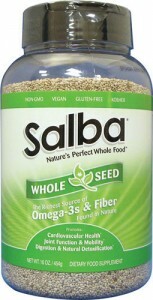 If you do use Salba in your diet, I’d love to hear more about your experience and any recipes you have to share!